NASA has just launched a new high-resolution computer model that gives a stunning look at the yearly movement of carbon emissions through the planet’s atmosphere. 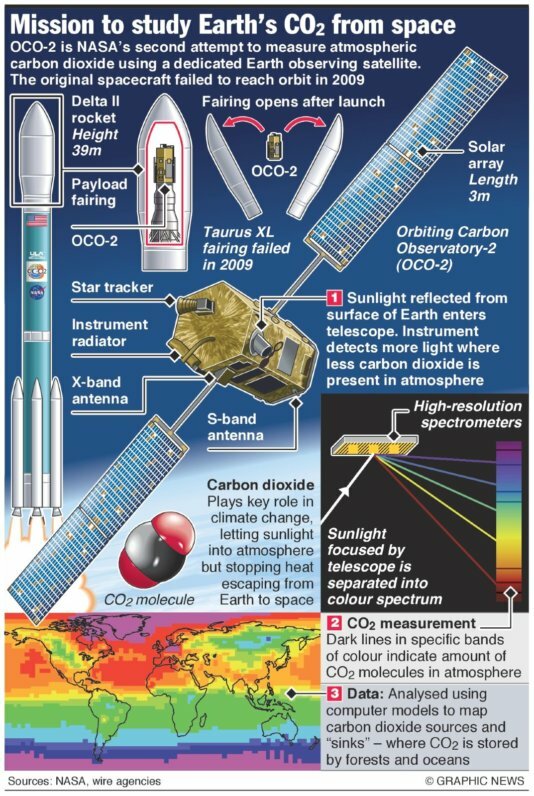 NASA created the model by combining ground-based measurements with data received from the Orbiting Carbon Observatory-2 (OCO-2) which was launched in July. The simulation is one of the highest resolution models ever created, and it clearly shows major emission sources and the way winds disperse greenhouse gases. Besides the fact that’s its beautiful and scary at the same time, it is also an expression of the amazing work that science can produce. Carbon emissions have been measured for decades, but the new OCO-2 satellite provided valuable input for creating the high-res simulation. 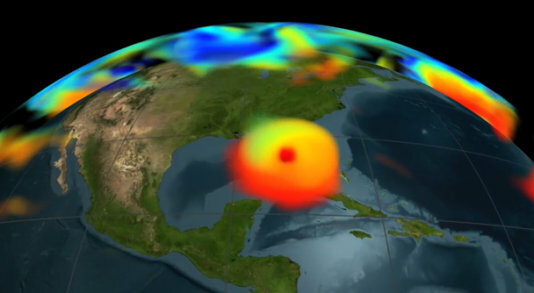 The carbon dioxide visualization was produced by a computer model called GEOS-5, created by scientists at NASA Goddard’s Global Modeling and Assimilation Office. It is part of a larger simulation called Nature Run, which uses real data on atmospheric conditions and greenhouse gas sources to simulate the behavior of the planet’s atmosphere. It simulates winds, clouds, water vapor, dust, black carbon, sea salt and emissions from industry and volcanoes. Bill H.R. 1422, also known as the Science Advisory Board Reform Act, passed 229-191. It was sponsored by Representative Chris Stewart. The bill changes the rules for appointing members to the Science Advisory Board (SAB), which provides scientific advice to the EPA Administrator. Among many other things, it states: “Board members may not participate in advisory activities that directly or indirectly involve review or evaluation of their own work.” This means that a scientist who had published a peer-reviewed paper on a particular topic would not be able to advise the EPA on the findings contained within that paper. That is, the very scientists who know the subject matter best would not be able to discuss it. While the white house is threatening to veto that bill if passed, it still is a sad indication to who and what agenda controls the largest economy on earth. Profit on the expanse of health and healthy environment seems to be dictating the rules, no matter how absurd they are. How the new OCO-2 satellite provided valuable input for creating the high-res simulation. The carbon dioxide visualization was produced by a computer model called GEOS-5, created by scientists at NASA.